Scighera FSX: Kleine Scheidegg and the "Eiger Nord Wand"
Kleine Scheidegg and the "Eiger Nord Wand"
I's enough you send a message or e-mail to him, and he will provide the download link ! Some three months ago (don't remember exactly how) I got in touch with Frank Dainese, a "sacred monster" of FSx Scenery Developement: time ago he made, as 3D models, all the major peaks of the Dolomites, and, at the time when I got in touch with him, he had just released the Apls around Val d'Aosta, including the Matterhorn, the Monte Rosa and the Monte Bianco. "Would you colloborate with me in the scenery design ?? 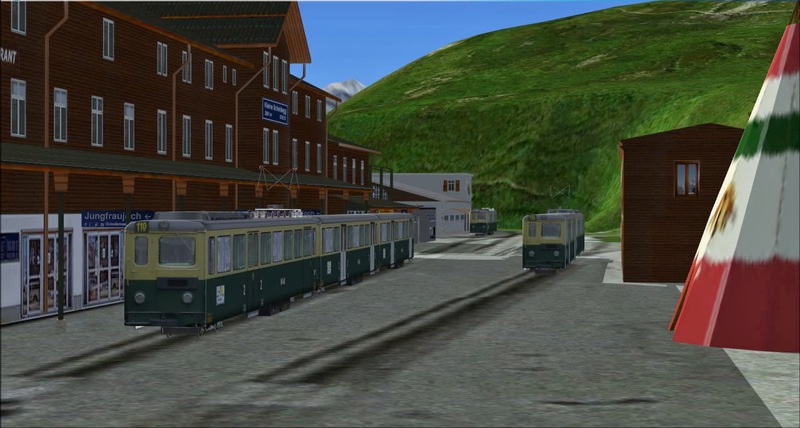 I need someone making 3D buildings for the area I'm modelling ... in particular I need someone modelling the Funivie del Monte Bianco (The Cableways of the Monte Bianco) ... and I would like to see the cabs going up and down ...."
"Hey, Paolo ... 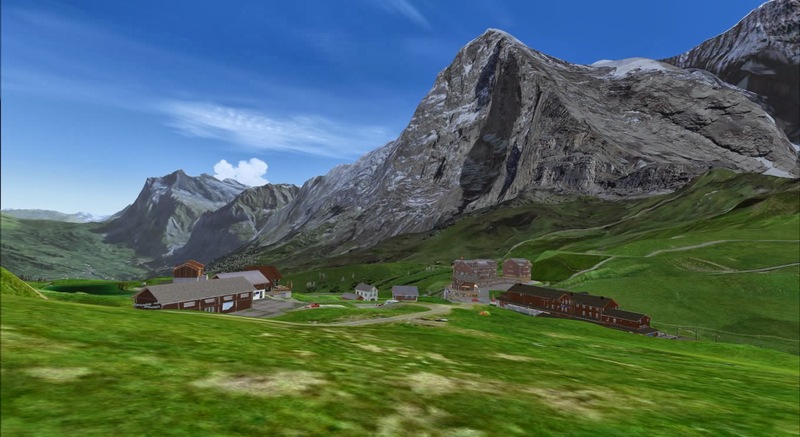 I'm modelling the Berner Oberland and the terrrific Eiger Nordwand ... would you be so kind to set aside for a while the cableways ... and model the village of Kleine Scheidegg ???" how do we download this beautiful work?...grazie..